Click the arrow ">" to the right of the main photo below, for close-ups and photos of actual installations. View even more deck gate close-ups from our carpenters here. Our sturdy exterior gate, with strong slats sinking deep into the hand and footrails. Use strap hinges to mount to 4x4 posts. You pick the size and slat spacing. Select grade cedar; ready for you to paint or stain or simply seal. 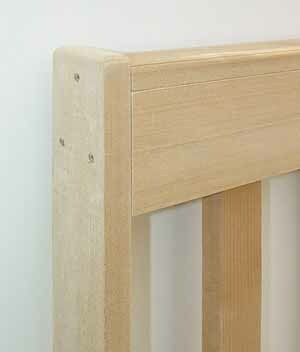 Slats are 1 1/2" wide, 3/4" deep. Handrails are 2 1/16" from front to back. 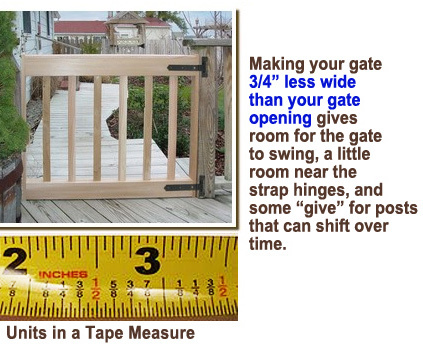 Sides of gate are 2 1/8" from front to back. Gates are fully cushioned and shipped by our carpenters directly to you via UPS Ground .Hardware must be bought by customer. Widely available at Home Depot and Lowes. 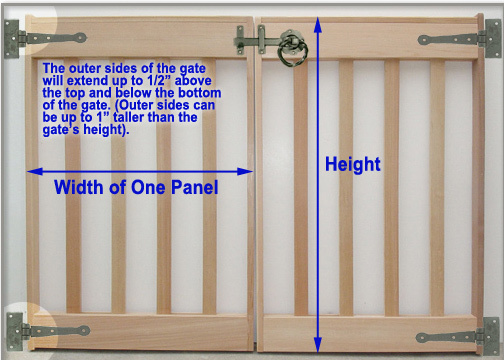 Assembled gate prices start at $185. Kits at $120 In Stock. USD . Assembled gates require only a drill and screwdriver for hanging. In contrast, DIY kits require drill, screwdriver, and a brad nailer (ideally pneumatic, use a hammer if no nailer available) for assembly. 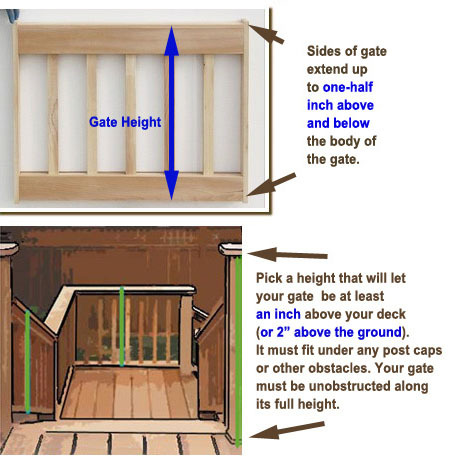 You may also wish to add a gate spring to the underside of your gate. Finished gates and kits ship in 10 days, or get plans instantly. Buying Just the Plans? You receive the plans, with measurements for cutting, and complete assembly instructions. You'll need a miter saw, and the tools for the kit. (Coming Soon!) Prices for all plans are under $10.